Orange, Calif. (September 8, 2016) – American Advisors Group (AAG), the leading reverse mortgage lender in the nation, this week launched its latest television commercial starring Emmy and Golden Globe award-winning actor Tom Selleck. The spot is the second of three new ads featuring Selleck as the company’s national spokesperson. Reverse mortgage loans are continuing to gain steam among financial experts, consumers and ‭columnists. Susan Tompor of the Detroit Free Press explains the shift may be attributed to consumer ‭protections added in recent years. ‭Baby boomers may also be giving reverse mortgage loans a second look as the generation lives longer, ‭has less than ideal savings and does not have enough income from Social Security or other retirement ‭plans. For the past three years, American Advisors Group (AAG) has been recognized by the Orange County Register as an Orange County Top Workplace among more than 1,000 participating organizations. Top Workplace honors are based solely on workplace surveys completed by their employees (and conducted by a third-party research firm, Workplace Dynamics). According to the researcher, Top Workplaces are not only better places to work but are more likely to be successful than peer organizations. 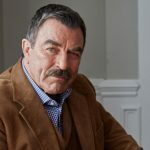 Orange, Calif. (August 1, 2016) – American Advisors Group (AAG), the leading reverse mortgage lender today announced the premiere of its new television commercial campaign starring the company’s new national spokesperson, Emmy and Golden Globe award-winning actor Tom Selleck. The commercials began running today across cable and national networks including ABC, NBC and CBS.